Can you get a Tesco Premium Credit Card fee refund? If you have the Tesco Premium Credit Card, should you be asking for a fee refund? Last Wednesday we told you that Tesco Direct, the Tesco non-food website, is to be closed on 9th July following years of losses. This is disappointing for Avios and Virgin Flying Club collectors as Tesco Direct was a regular source of good, often exceptional, bonus point offers. There is one other group of people who will be disappointed and possibly feeling legged over: holders of the Tesco Premium Credit Card. What are the benefits of the Tesco Premium Credit Card? Let’s go through the benefits of the Tesco Premium Credit Card one by one. The first one is the one that could now cause problems. Let’s imagine that you DO spend £5,000 per year in Tesco. This may be possible if you always buy your fuel there, use Tesco Direct a lot or shop for a large family. Things start looking interesting. It is not the best deal for collectors of Virgin Flying Club miles. You would be far better off getting one of the two new Virgin Flying Club credit cards. However, if you were turned down for the new Virgin Atlantic cards then this is not a bad substitute. The existing MBNA Virgin cards are closing in June. Unless you valued the travel insurance at £150 – which you might, but many people have cover elsewhere – the value in this card is the 5,000 bonus Clubcard points (12,000 Avios or 12,500 Virgin Flying Club miles) for spending £5,000 with Tesco in a card year. Tesco Direct may have been a key part of this strategy. After all, a couple of big electrical purchases via the Tesco Direct website – a laptop, a new flat screen TV – would knock off a large chunk of the £5,000 in one go. 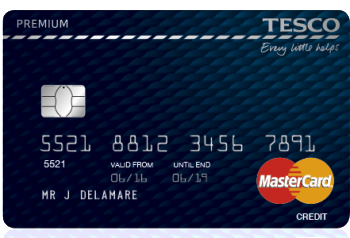 Would Tesco Bank let you cancel the card with a fee refund? Tesco Bank does not usually offer a pro-rata fee refund if you cancel the Tesco Premium credit card. Your £150 annual fee is a sunk cost. And yet ….. arguably, if you felt that the closure of Tesco Direct had now made it impossible for you to hit the £5,000 spending target for the 5,000 bonus points, you may feel that you are due a refund. Would Tesco Bank allow this? I have no idea. It might depend on how far you are into your card year, whether you are or are not already on target to hit the £5000 of Tesco spend and how much Tesco Direct spend you have in the year to date. Do let me know how it goes if you do ask for a refund. PS. If this card does sound interesting, despite the closure of Tesco Direct, remember that until 11th July, you will receive 5,000 Tesco Clubcard points when you sign up. There is NO spending target to hit. All you need to do is make one purchase in Tesco, or online from Tesco Direct, within two months of getting the card. 5,000 Tesco Clubcard points converts to 12,000 Avios or 12,500 Virgin Flying Club miles or £150 of Uber credit, amongst other things – although you are paying a £150 fee for the privilege. Full details are here. Win 35,000 Avios with Alan Boswell Group in our exclusive HfP prize draw! Rob what does “feeling legged over” mean ? NB: Very different from the leg in ‘getting your leg over’. Another option might be to ask Tesco to credit you with 5000 Clubcard points despite not hitting the £5000 Tesco spend. I think I would prefer an£150 refund though! I used to have this card and managed the £5,000 buying fuel and a weekly food shop. It works out at £96 per week in Tesco. I then cancelled the card as their bank account ID checks were rather cumbersome. I called up and received a pro rata refund on the annual charge. They must like you then! When BMI closed, some people got that and others (me) got a ‘nothing’ card. Sounds decent actually, I would keep it – at least for travel. I had the old no-fee version of the MBNA AA card and the replacement for that is the Horizon Visa with the same features as above, but without the financial incentive to stay. Still looks a decent enough free card to keep in the portfolio though. Same offer of the Horizon card here in replacement for AA card, which is better than the “no benefits” card which, like Rob, I got at the end of BMI’s tie up with MBNA. A letter from MBNA has arrived this morning stating that ‘the relationship between MBNA & Etihad Guest is coming to an end on 21st July 2018’. Just been rejected for the Virgin Atlantic free card (despite already holding the + version!!). I recall other people had similar issues and there was a link posted here or something similar where you can appeal the decision? I doubt that will work if you already have one. I have been suggesting a 6 month gap to be honest. I saw this yesterday. It’s a limited time offer until around July, I think. FWIW, I tried to get a pro-rated refund for the card fee, given the tesco direct closure and they were having none of it.